Untitled Goose Game may be the working title for a hilarious stealth game where things run a-fowl (pun intended). Or, it could be the finalized name which sums things up rather succinctly. 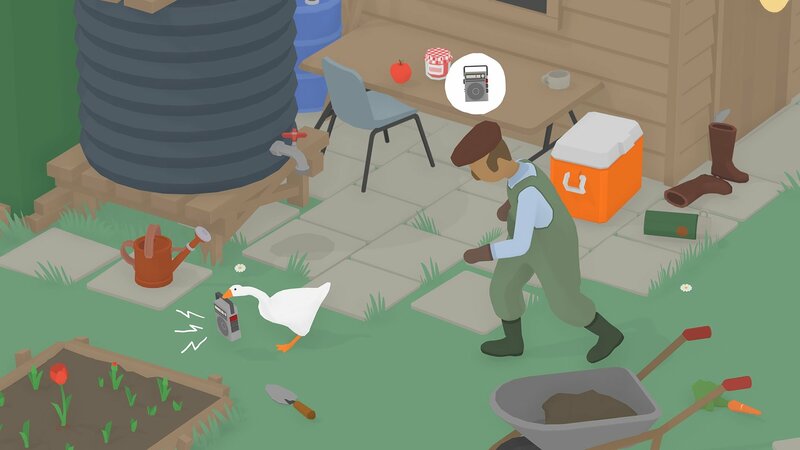 Either way, regardless of what name will be attached to it come launch day, Untitled Goose Game is charming, funny, and an absolute joy to play. Let’s just hope it can keep it up for its entire runtime. At some point, everyone’s either been the victim of a trollish pet, or has laughed out loud at a YouTube clip where someone else has fallen victim to… a trollish pet. Either way, it’s easy to anthropomorphize our lovable canines and furry felines — there’s something about imagining that a cat or dog actually intended to be a nuisance that makes their penchant for destruction all the more palatable. Of course, while you’re free to annoy those pesky humans any which way you choose, pausing the game brings up a list of specific ways to wreak havoc. In the Untitled Goose Game’s playable demo (which to my knowledge, is all we’ve seen of it so far) there are a handful of straightforward goals to accomplish, though some objectives do require some careful planning. Getting into the garden can be done by distracting the groundskeeper and tricking him into opening the front gate. More complex tasks — like stealing his keys or tossing his rake in a nearby pond — will require some forethought and a bit of sneakiness on your end. 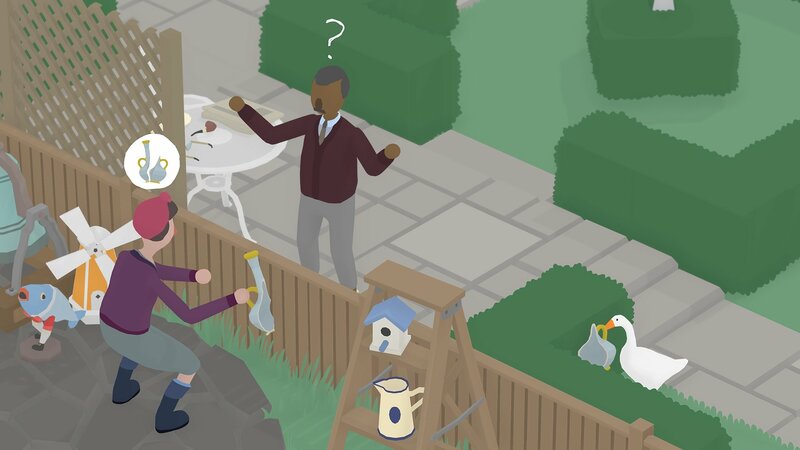 The moment to moment gameplay deftly blends some light puzzle-solving and stealth, while having the player take control of a goose (as opposed to a neighborhood brat, for instance) turns any sense of blatant antagonism into a more palatable form of troublemaking. Still, if there’s one thing I’m still skeptical about, it’s Untitled Goose Game‘s ability to keep things feeling fresh over multiple levels. As a result of the same level being shown off for the past year or so, I’m left wondering what else the developers have to show off. Some screenshots and trailer footage hint at more complex interactions (like instigating a fight between two neighbors), so I’m hopeful that developer House House has a few yet-to-be-revealed tricks up its sleeve. Untitled Goose Game is set to release in 2019, on Windows, Mac OS, and Nintendo Switch. Be sure to check out the rest of our coverage from GDC 2019.